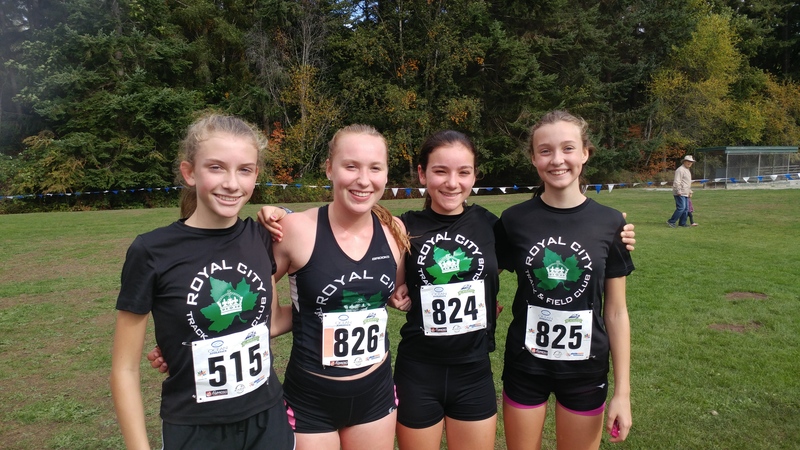 At the recent Ocean Athletics’ hosted Festival of Cross Country Meet at Cresent Park, South Surrey, the Royal City Track & Field Club’s XC charge was led by young and determined Emily Forsyth in the youngest competitive group, with a very strong run to set the example. Big sister, Ava Forsyth, took up the challenge and paced her way to a 1st place finish in the 1.5km race. 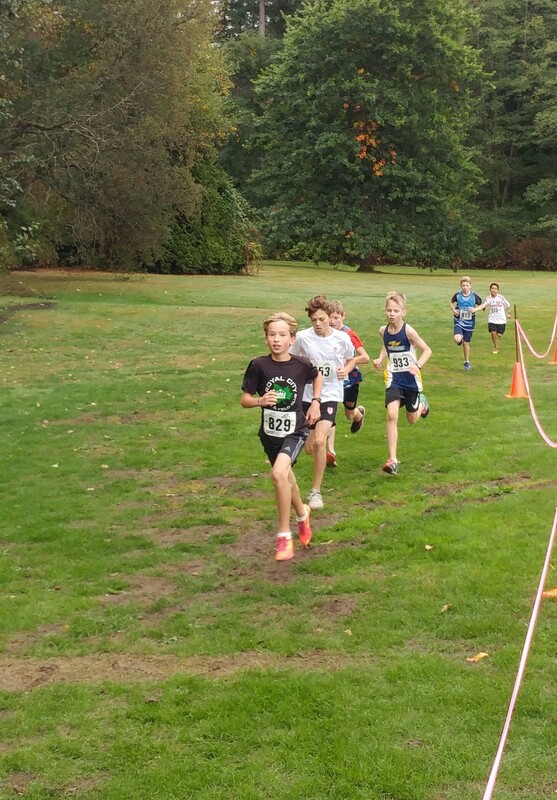 In his first season of club xc running, Finn Janke finished 12th in the field of 24 10yr-old boy runners. 11-year old Max Holmes finished with a strong 3rd place in his field of 24 runners. 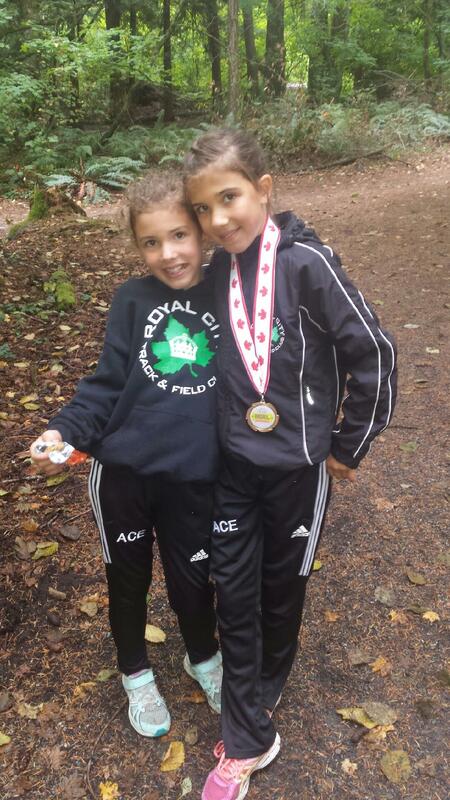 In a repeat performance of last weekend’s Vancouver Spirit Run, Emily Bowles and Monika Arcadi finished 1st and 2nd respectively in the 13yr girls’ 3km race. In the 14-year old girls race, Kate Stewart-Barnett finished with a strong 2nd place. Ryan Roberts continues to improve as the xc season unfolds. In the Senior Boys’ race, Roberts put out a strong 9th place finish in the boys 5km event this weekend. Teammate Shea Janke, after a trail miscue, managed to still finish 5th place in a time of 18.47min. Leading from start to finish with a well paced run, Grace Fetherstonhaugh finished the Senior Girls 4km race in a time of 12:12mins. Congratulations to all the XC racers this weekend! This entry was posted in Uncategorized by royalcitytrack2. Bookmark the permalink.